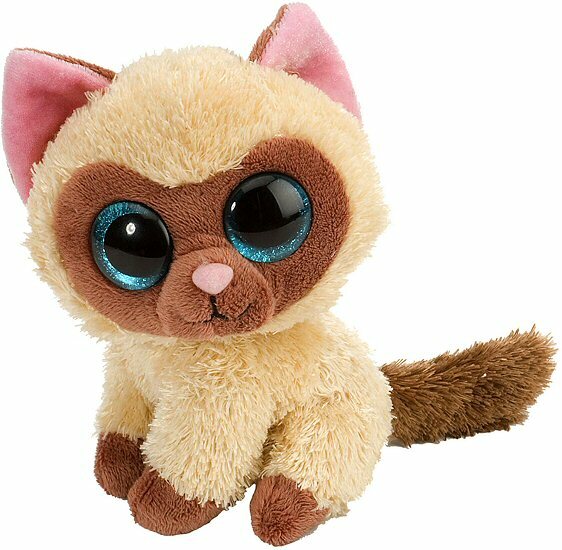 Mocha, this adorable Li'l Sweet & Sassy stuffed Siamese cat, is a great companion for hours of imaginative adventure. With soft cream fur, mocha accents, and pink inner ears and nose, this sweet plush Siamese kitty has the most beautiful sparkly blue eyes! Look into their depths and you're sure to feel warm fuzzies. Another great thing is that when you purchase this lovable Li'l Sweet & Sassy plush Siamese cat, a portion of the proceeds helps to provide housing and education for disadvantaged children, as well as protection for abandoned animals throughout the world. This adorable kitty cat plush keychain has soft yellow fur with fun orange stripes, white accents, and perky ears. This Cat & Kitten Bloco foam building set also has instructions for creating a cat brush, milk bowl, and kitty slippers. This adorable Kitten and Butterfly Sudden Shadows giant wall decal set will add a huge splash of lovable whimsy to the wall of any room.